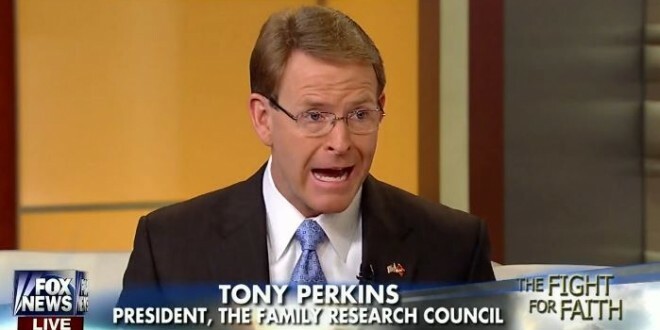 Tony Perkins Defends Trump Administration's Policy Of Holding Migrant Children In The DOJ's "Summer Camp" - Joe.My.God. Now that President Trump’s scored big points for his historic meeting with Kim Jong Un, his opponents are desperate to change the subject. Anxious to turn the country’s attention away from the administration’s diplomatic success, they’ve returned to an issue that the Congress has repeatedly failed to resolve — immigration. Yesterday’s Washington Post got the ball rolling with an inside look at one of the 100 shelters where children, whose parents were arrested for entering America illegally, are housed. The article couldn’t help but tug on heartstrings, since almost 1,500 boys are living in a warehouse-sized summer camp, separated from their parents when they crossed the border illegally. What was once a Walmart super center is now full of classrooms, medical rooms, basketball courts, and even a pool hall. Attorney General Jeff Sessions defended the White House’s position on Wednesday, telling a gathering, “Persons who violate the law of our nation are subject to prosecution. I would cite you to the Apostle Paul and his clear and wise command in Romans 13, to obey the laws of the government because God has ordained them for the purpose of order.” Critics quickly attacked the AG’s comments — with particularly harsh criticism from those on the Far Left, many of whom don’t appreciate scriptural references unless it can be twisted to justify their agenda. Thursday, reporters took out their frustration on Press Secretary Sarah Sanders press conference, asking how the administration could possibly defend a policy that prosecutes adults for crossing the border illegally. Sanders stood her ground. “…[It’s] very biblical to enforce the law. That is actually repeated a number of times throughout the Bible,” she said. “It’s a moral policy to follow and enforce the law.” And, she went on, if you’re looking for someone to blame for this situation, try Democrats.